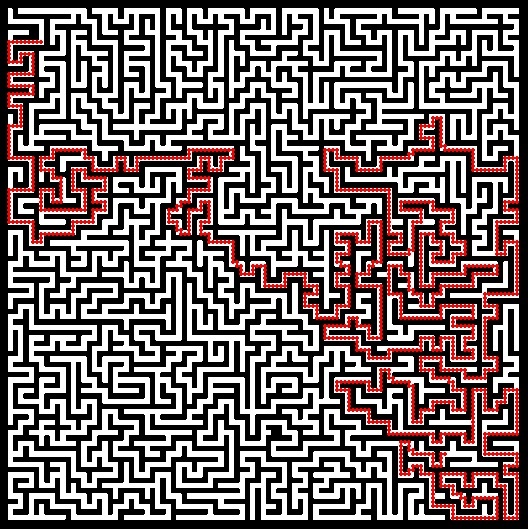 In this version there is a function that allows you to find the shortest path in the labyrinth. 0 1 2 3 4 5 and so on. The allocated memory for the first and second parameter can be larger than the size of the labyrinth. Returns the function number of steps. 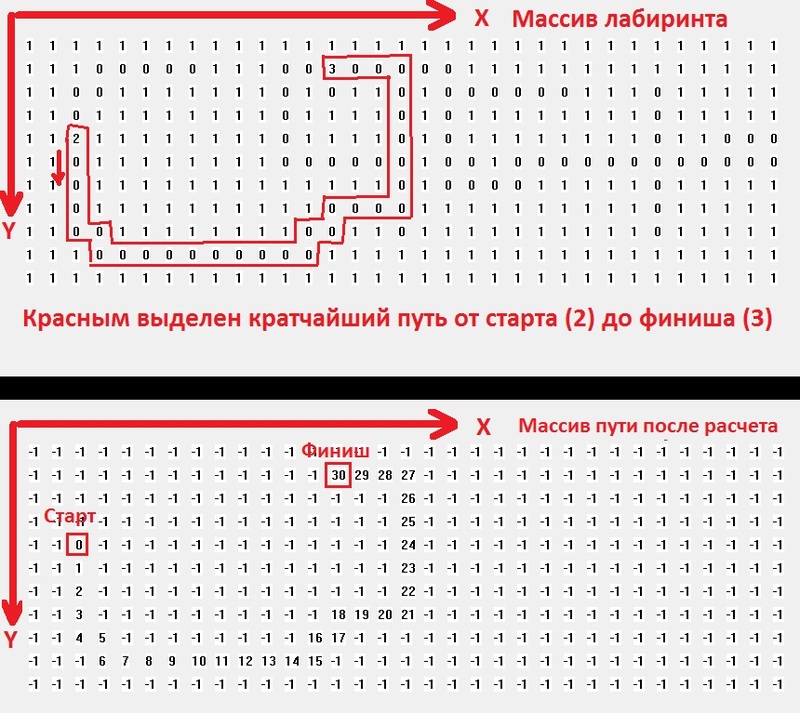 -1 if the size of the maze is more than allocated to the memory in the arrays. 0 - if there is no path. if (fopen ("D:\map.txt", "r")!=0) // open the file for reading "r"
Video demo analysis of the labyrinth of the picture, posk and drawing in a patch on it the shortest path.